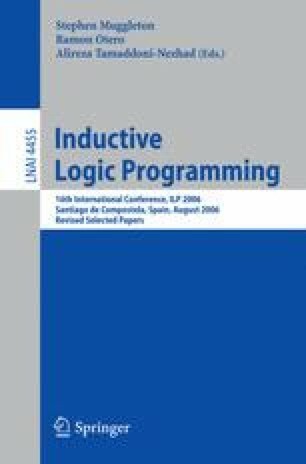 In this paper we present the system ALLPAD for learning Logic Programs with Annotated Disjunctions (LPADs). ALLPAD modifies the previous system LLPAD in order to tackle real world learning problems more effectively. This is achieved by looking for an approximate solution rather than a perfect one. ALLPAD has been tested on the problem of classifying proteins according to their tertiary structure and the results compare favorably with most other approaches.